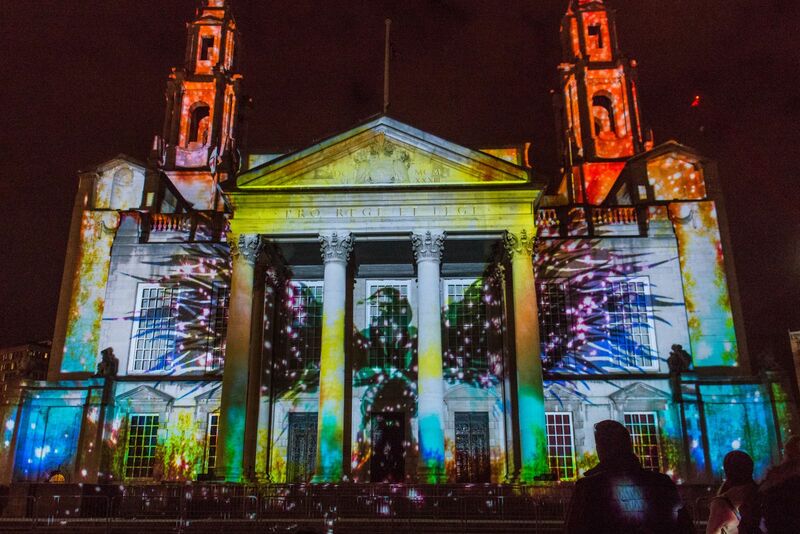 Leeds City Council is looking to commission a major new projection mapping and soundscape for the city’s annual Light Night Leeds event. Following the spectacular ‘Phoenix in the Stone’ by Illuminous in 2016 we are looking for an exciting and ambitious new artwork to re-imagine the façade of Leeds Civic Hall on Millennium Square on 5th & 6th October 2017. Light Night Leeds is a multi-arts and light festival which takes over Leeds City Centre on two nights in early October. Now in it's 13th year, it is a highly anticipated event in the city's cultural calendar. Over 40 artworks are presented across the city, with the projection on Leeds Civic Hall forming the centre-piece of the event. For this year’s festival we would like to see the creative use of video mapping and sound to fit with the overall theme of ‘People and the City’. We are interested in receiving proposals for works which reference a story or stories of Leeds through its people, for example relating to the different communities that call Leeds home, the experience of living and working in the city, or prominent people from the city both historical and contemporary. The piece can be narrative led or more abstract in style, and should be durational to be played repeatedly throughout the evening. We are looking to commission something very different from previous work mapped on Civic Hall to create a new experience for Light Night audiences. We are open to a range of different visual styles including abstract, cinematic or animation. The commissioned new work will be shown on Leeds Civic Hall on the evenings of Thursday 5th October and Friday 6th October. Leeds Civic Hall is located on Millennium Square and is bordered by Leeds City Museum and the Carriageworks Theatre, which are also Light Night Leeds venues. Leeds Civic Hall was designed by the architect Vincent Harris and completed in 1933. The building is faced with Portland Stone and constructed in a neo-classical style. 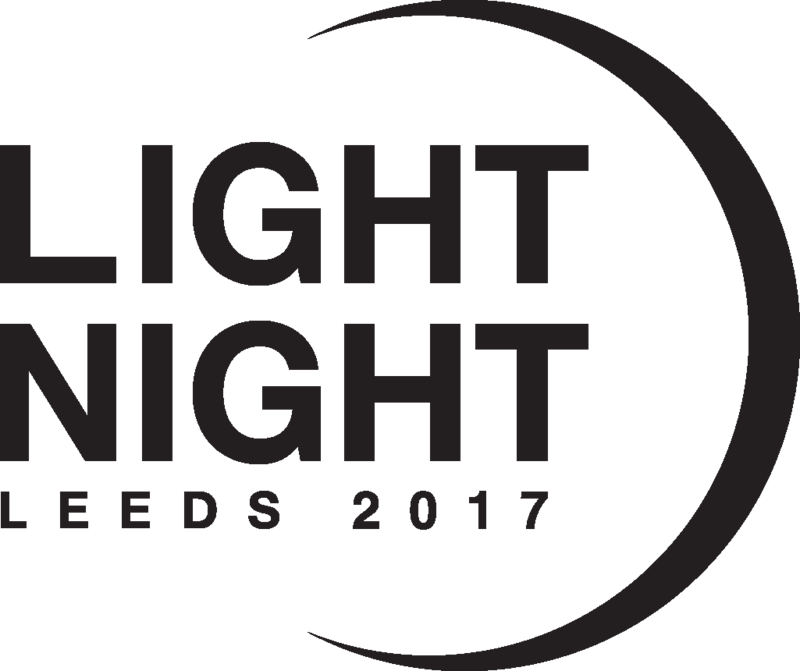 Light Night Leeds has a broad and varied audience so the commissioned artwork must have cross-generational appeal and it is important that the work does not include any elements that would cause offence to the general public. Expressions of interest to this open call are invited from experienced professional artists, designers and organisations to deliver an awe-inspiring spectacle for the people of Leeds and visitors to the city. We expect submissions from practitioners with a proven track record in the field of video mapping and/or filmmaking and we are open to receiving proposals from local, national and international artists, companies or organisations. The commission must be for original work designed for Light Night Leeds 2017. We will consider existing work which will be significantly updated for Light Night Leeds. NB Previous applications will not be considered. The artwork will be required to run for approximately 3.5 hours each evening (7.30 -11pm). The work should be designed to be looped over the course of the evening, and the piece should be approximately 10 minutes in duration. The sound composition must be integral to the work and must take into consideration the proximity of the hospital across the street. Project delivery to take place 5th & 6th October 2017. NB Work must be ready to test on the building on Wednesday 4th October. Projects must be deliverable within the specified budget and to the agreed timescales. Artists are expected to be in attendance during the testing and exhibition of the work. It is essential that you have the experience to oversee the delivery and work in collaboration with technical teams. Applicants must proactively work with Light Night Leeds and the LCC marketing team to help create a buzz about the commission i.e. participate in press interviews, attend VIP Launches. Applications are open to established artists, animators, filmmakers or organisations who can clearly demonstrate experience of leading on successful large video mapping projects of a similar nature. Applicants do not have to be based in Leeds. However artists will be expected to attend meetings with the Light Night team and attend site visits in the city so these costs must be factored into proposed budgets. Budgets must include all artistic fees (including all travel / accommodation), project development and content production. 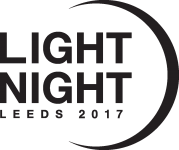 Light Night Leeds will be responsible for all technical and infrastructure costs including: technical equipment hire (incl. projectors, media server and PA system), projection tower, event security, power/electrical, fencing/barriers, and Light Night project management. An outline proposal including images (no more than 2000 words) and/or a video pitch (of up to 5 minutes in length). Projects do not need to be fully formed at the proposal stage but should demonstrate clear concept and viability. Please provide links to where your video is hosted (e.g. Vimeo or YouTube) along with any password required to view the content. Please provide a breakdown of the project budget. Background information on the artists or organisations, and supporting evidence to demonstrate experience of delivering successful large projection mapping projects. Applications from organisations/producers should include confirmed details of the lead artists involved. Applications will be assessed by the Light Night Leeds team and a panel of judges. Short-listed applicants will be invited to interview. The selected applicant will work on the development of the full project plan and evaluation framework in consultation with the Light Night Programmer / Producer and Light Night Production Manager. Leeds City Council reserves the right to re-open the call or not to make an award if applications are deemed unsuitable. Light Night is an annual multi-arts and light festival which takes place every year in early October at numerous venues across Leeds city centre. Hundreds of artists, makers and performers transform the city’s streets and buildings for an unforgettable evening of exhibitions, installations and performances. It is a celebratory showcase for the huge range of diverse and thriving creative activity taking place in Leeds all year round, and gives visitors free access to art and venues that they might not normally see. In 2016 an audience of approximately 80,000 people attended Light Night experiencing over 50 different events in over 30 locations in the city centre. 2017 will be the 13th annual event. Leeds is a modern and diverse northern British city. It is the third largest and one of the fastest growing in the UK and is now home to an estimated 798,800 people. Leeds is the regional capital and the main economic driver for the counties of Yorkshire with major road, rail and air connections to neighbouring towns and cities, and to national and international networks. The city’s diversity can be seen in a population which is made up of residents of over 140 different ethnic groups and the fact that Leeds school children speak over 170 languages. Black, Asian and Minority Ethnic groups represent 17.4% of the population. A unique and distinctive place, the city of Leeds has a rich industrial heritage. Known as the leading financial and legal centre in the UK outside London, the city is home to some of the largest financial institutions in the country. It has a diverse economy, excellent universities and world-class culture and sport. Culture, tourism and sport play a key role in attracting people and investment to Leeds. The growth in the number of visitors to the city has been helped by restoring and developing flagship cultural and sporting venues including Northern Ballet & Phoenix Dance Theatre, The City Museum, The Grand Theatre & Howard Assembly Rooms, The City Varieties theatre, The John Charles Centre for Sport, Headingley Stadium, and the First Direct Arena. Leeds is home to Yorkshire Dance, Opera North, West Yorkshire Playhouse, East Street Arts, Phoenix Dance, Henry Moore Institute, and a wide range of festivals including Leeds International Film Festival and the West Indian Carnival. The city also has a vibrant independent music scene and a thriving DIY arts community. Visit www.visitleeds.co.uk and www.leedsinspired.co.uk to get a flavour of what’s currently on in the city. Applications are open to established artists, animators, filmmakers or organisations who can clearly demonstrate experience of leading on successful large video mapping projects of a similar nature. Applicants do not have to be based in Leeds. However artists will be expected to attend meetings with the Light Night team and attend site visits in the city so these costs must be factored into proposed budgets. Can I show work which has already been completed? We are ideally looking for new work, however we will consider previous work which has been significantly adapted for Light Night Leeds. If I am successful in my application what else will I be expected to do / submit? You will be asked to attend an interview with the selection panel. The selected artist will also be required to attend a site visit. If commissioned you will need to send us text and images by the copy deadline to ensure your project information is included in the event programme and other Light Night marketing. Can Light Night Leeds provide travel / accommodation? Travel (including parking) and accommodation costs should be factored into your project budget. However, in certain circumstances we may be able to provide free hotel accommodation through our sponsors.